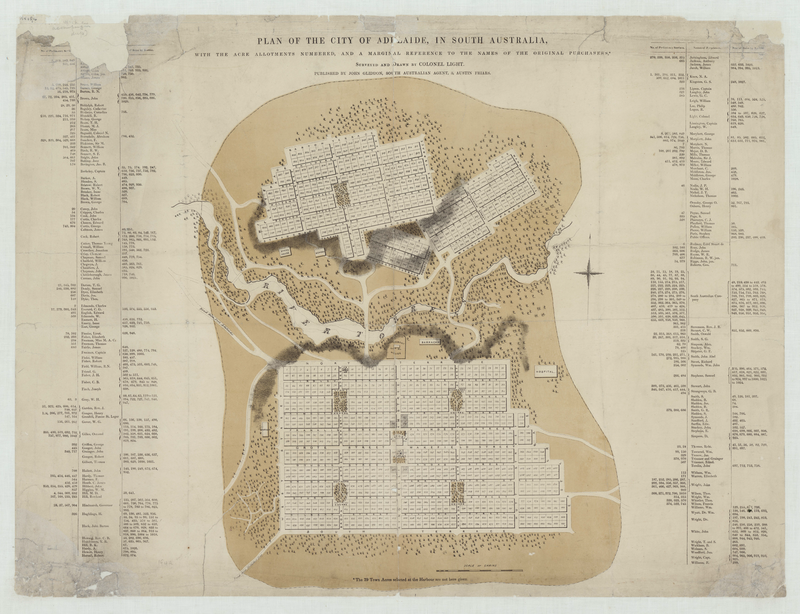 Jude Elton, History Trust of South Australia, ‘Light’s Plan of Adelaide, 1840’, Adelaidia, History Trust of South Australia, http://adelaidia.sa.gov.au/panoramas/lights-plan-of-adelaide-1840, accessed 19 April 2019. Is it possible to know the present buildings that stand on each acre lot? It would be great to do an acre lot overlay on a current map. That's a wonderful idea for a project Barbara, we'll put it on the long list. Thank you for making this info so freely available. Looking forward to other prev secret stuff being added.